Chapter 1: Hum Kis Galli Jaa Rahe HainI boarded the 9.15 am LTT-Lucknow Pushpak Express from platform number 4 of Kalyan station on a cold Friday morning. My day ahead was highly unplanned. The only thing confirmed was my seat and that my train would reach Nashik 10 minutes before 12 pm. It didn't though- I alighted at 12.15 pm at the Nashik Road railway station. I almost had an entire day before I could meet my friend who would be coming from Pune. After having a heavy but not exactly fantastic lunch nearby, I caught a local bus to Nashik CBS. 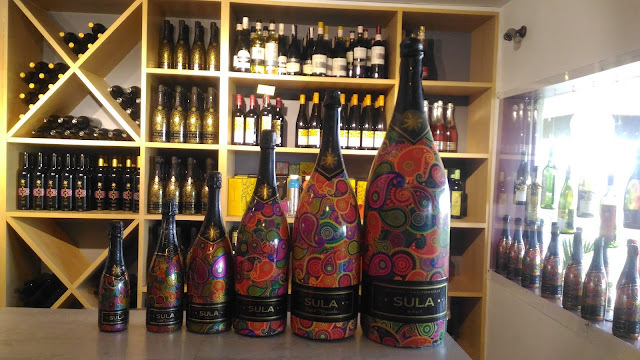 I had decided to go to Sula vineyards first. The rest of the things will be planned later.